Cybel develops, manufactures and commercializes fiber amplifier and laser technology at the wavelengths of 1µm, 1.5µm and 2µm for scientific, industrial and defense applications. Cybel offers both turn-key Benchtop (19″ rack mounts) units and compact OEM modules. 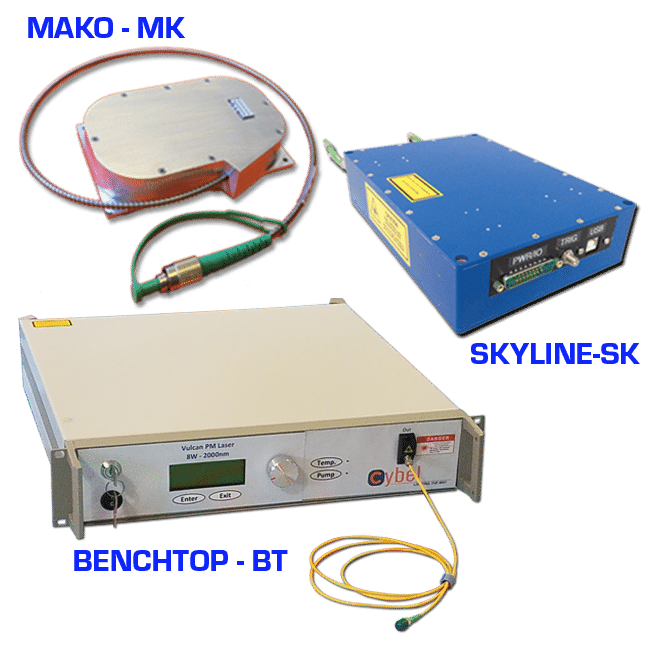 Our flagship OEM series, the SKYLINE and MAKO offer many advantages in terms of efficient, compact size, robustness, and easy use of operation and integration in optical systems. The MAKO supplies multi Watt output in a small footprint (97mm x 85mm x 15mm) ready for integration in Lidar or sensing sources. The SKYLINE delivers higher energy and tens of kW output for ns applications.